Two statues of Queen Victoria in downtown Montreal were vandalized with green paint Wednesday night by a group calling themselves Delhi-Dublin Anti-Colonial Solidarity Brigade. 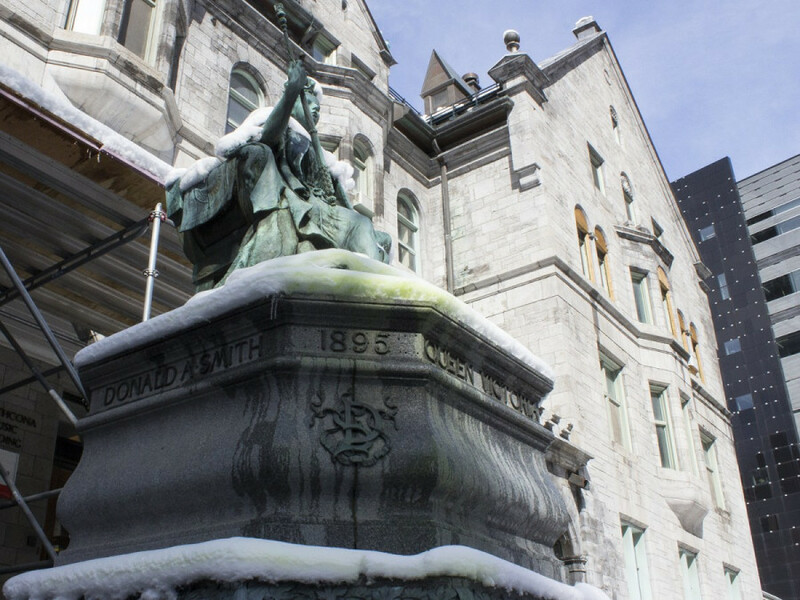 The statue of Queen Victoria in front of McGill University’s Schulich School of Music on Sherbrooke St. and the one located in Square Victoria were the two hit, and the group said they chose green paint in reference to St. Patrick’s Day, coming up Saturday. The group wrote that the British Empire and Queen Victoria’s legacy should be “denounced and attacked” because her reign perpetrated genocide, terror, forced famines, white supremacy, cultural denigration, and theft. “The statues particularly deserve no public space in Quebec, where the Québecois were denigrated and marginalized by British racists acting in the name of the putrid monarchy,” the statement read. The group said they were inspired to deface the statues after the statue of John A. Macdonald in Place du Canada on Peel St. was similarly defaced on the night of Nov. 11, the eve of a demonstration against racism and hate that attracted hundreds to downtown Montreal. The group also encouraged those reading to deface other statues they deem racist.